Jill Matlock, who runs International Mountain Adventures with her husband Ross, arcs a graceful turn. “Skizen” is what one writer and her family experienced while skiing in the north end of Japan. The snow came in like a Samurai—stealthy and silently during the night. While we slept on our tatami mats, over two feet fell, pushed by winds from Siberia, which collect and carry moisture from the fish-friendly warm currents off the coast of Japan, only to drop it later in the form of copious amounts of snow upon Hokkaido, Japan’s northern island. I’ve come with family and friends to ski in Niseko, located in the southwestern part of Hokkaido. 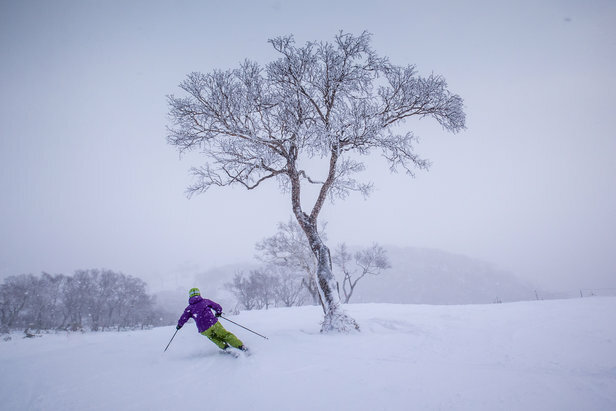 The 2015/16 ski season will bring more international guests to Niseko than even before, thanks in part to an influx of press in ski movies, magazines and websites, forever adding “JaPow” and “Japanuary” into our slopeside lexicon. My love affair with Japan, however, began more than two decades ago when I spent a semester of college studying in Tokyo and traveling around the main island of Honshu. I was enamored with the people, the landscape, the culture and the food (I loved the food so much, I outgrew the pants I brought on that trip, though the beer vending machines played their part). I vowed to return one day to ski. This time, I’d cross the international dateline in December with my husband and 10-year-old daughter in tow. Things had changed over the two decades since I’d been in Japan—mostly, me and the fact that now I’m a wife and a mom. One of the unforeseen joys was that I got to see Japan through the eyes of my daughter. Some of her favorite parts about skiing in Japan included the bubbles over the chairlifts so you don’t get snowed on, Taylor Swift playing from the lift tower speakers, vending machines with hot lemonade, the hotel breakfast buffet, miso soup, ramen, sushi, mushroom-shaped chocolate and Monopoly-like money. The experiences she didn’t care too much for? Mainly getting naked in the onsen (hot spring) and raw fish. I can’t remember a trip where I had such post-vacation blues as I did after this one. I’d go back in a heartbeat, even enduring the long flights and two-week jet lag upon return. Niseko is changing and the folks who live and work there are getting used to the influx of skiers. But it’s an exciting place filled with great snow, interesting terrain, beautiful views, awesome food, beer vending machines and hot springs. What else could a skier want? Niseko is a cultural, eating experience with some great skiing. 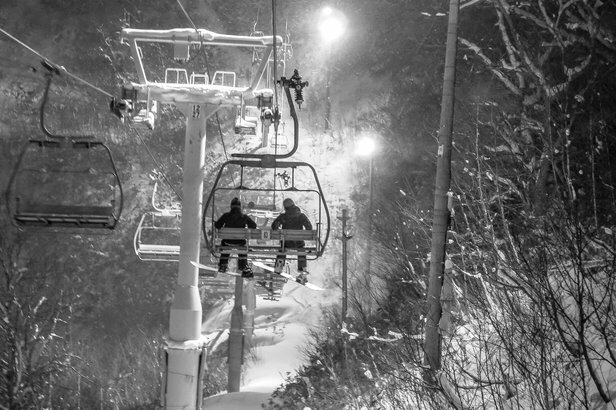 With climate change, Japan just may be the last reliable place for powder. So I decided I won’t be crossing off “Ski in Japan” from my bucket list, but instead, adding “again.” We’ll be back. How and when to go to Japan, what to know and what to bring.